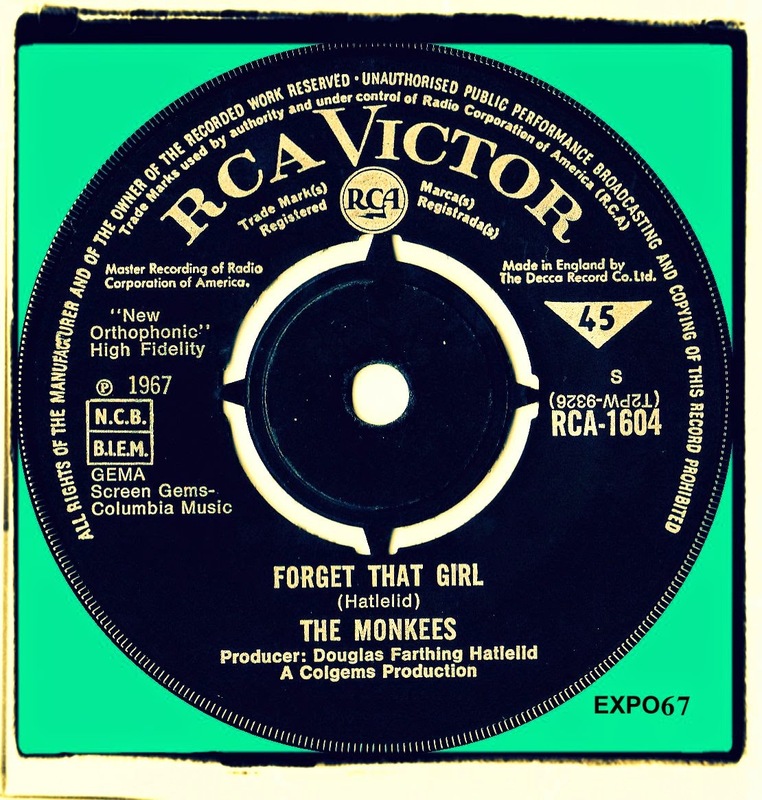 "Forget That Girl" is an overlooked Monkees song recorded at RCA Studios in Hollywood on the 7th and 8th March 1967. The recording line-up consisted of Mike Nesmith (12 string guitar), Peter Tork (electric piano), Davy Jones (vocals and maracas) and Micky Dolenz (drums). This beautiful jangling ballad was written by Chip Douglas who had become the Monkees producer at this point in time. "Douglas Farthing Hatlelid" is his made up name. Although "Forget That Girl" never appeared on a 45 in America it was part of the "Headquarters" album. Thankfully, "Forget That Girl" did get a single release in Britain during June 1967, it can be found on the B-Side of "Alternate Title." The song featured in the Monkees episode "One Man Shy" during August 1967. FYI,Douglas Farthing Hatelid is Chip Douglas's real name. So actually Chip Douglas is the made up one. The name given on the song writing credit is the tipoff.